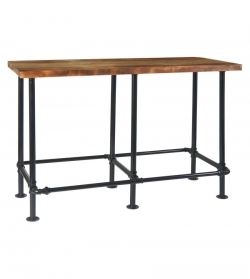 This is an excellent industrial style bar height table you must have! The application of superior craftsmanship is illustrated by the natural pinewood table top supported by steel table legs, thus ensuring solid quality. 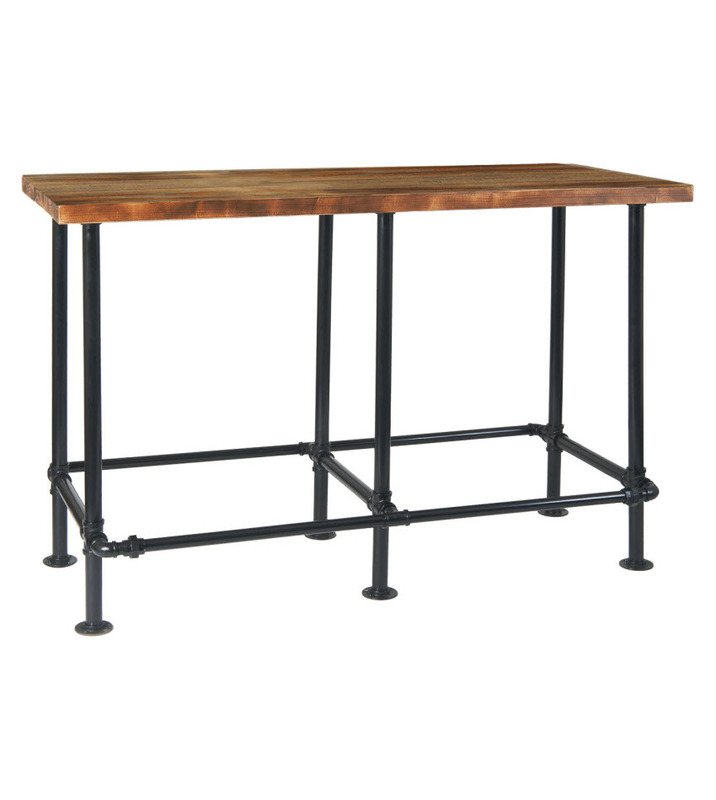 The reclaimed look of of the wood table top adds a rustic charm releasing an industrial vibe. Built to last, guests can have an enjoyable dining experience at your restaurant through long periods of heavy use. It's large size makes it suitable for parties, social events, meetings, etc. Pair with any of our industrial style bar stools to complete your decor.